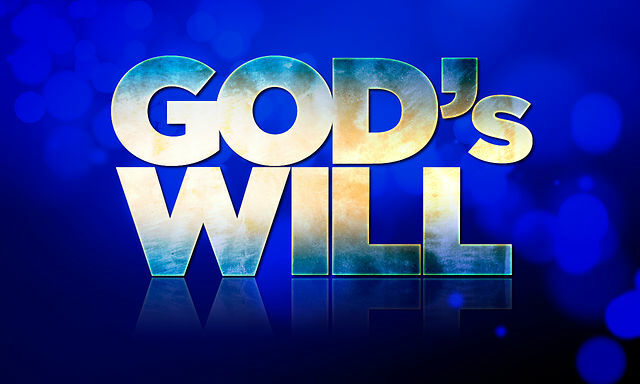 Knowing God’s Will: Living It! It’s important for readers to understand that I am not an expert in the area of living God’s will. None of us are and it is just important to realize that it is an ongoing process as part of our sanctification. I’m not writing about this subject because I perfectly live out God’s will in my life. I’m writing this as much to me as to you. If you benefit from it, all the better, but I benefit from writing it out because it helps cement it into my own life. Previously, in discussing Dr. Bruce Waltke’s book, Finding the Will of God, we noted that he provided a history of how pagans (and too often, Christians), use numerous forms of what can only be called “divination” to determine His will. From there, Waltke moved into a discussion of how the Christian should learn and live God’s will. Far from what the signs and wonders crowd advocates, determining God’s will is made easier (and far less mystical, ecstatic, and controversial), when we are living lives that move us closer to God. Waltke introduced a six-point program that each and every Christian should put into place if they take seriously the goal of living God’s will in our life. He also emphasized that the order in which those six points were followed by the Christian makes a great deal of difference. Naturally, he began with the one thing (aside from actual salvation), that every Christian needs to immerse themselves in; reading, studying, and memorizing God’s Word. Without this, there is no real theological base and he previously indicated that our theology defines what we believe about God. If our theology is wrong (or non-existent), we cannot rightly expect to progress in our faith nor will we be able to discern God’s will in all of life’s circumstances. As we read through God’s Word, we learn the structure of God’s will that applies to every Christian, without reservation. There are simply things that all of us need to be doing. In every one of Paul’s letters to the churches, he provides general instruction. By general, I’m referring to how every Christian should live. Here’s an example of what I mean. In the above text, notice Paul precedes the command with the words, “For this is the will of God…” What is the will of God? What he says next. All Christians should abstain from sexual immorality, that we should all control our bodies, that we should not be driven in passionate lusts. These are commands of an apostle and he tells us that obedience to these things is the will of God! A couple of questions then. First, how does a person do this when the temptations can be very strong at times? Second, how does obeying these aspects of God’s will help us determine God’s will in other situations that are far more specific to us? There are only two ways we can obey Paul’s commands here. One, we will either attempt to obey them in our own strength, with our own energy or two, we will rely on God’s strength to overcome the temptation when it raises its head. I think most would agree that obeying in our own strength may get the job done. We may have successfully ignored the temptation. Is this what Jesus did? In Matthew 4, Jesus went head-to-head with Satan and He didn’t use His own strength. He quoted Scripture and allowed the power of God’s Word to defeat the enemy. It was in this way that Jesus overcame each and every temptation He faced, not just during that time in Matthew 4, but throughout His life. So, as a Christian, when faced with the type of temptation Paul speaks of in the above passage, what is the best antidote for that temptation? God’s Word! If we commit to memory those few verses (or others like them), the Holy Spirit can bring them to our minds during those times of temptation. As we then repeat those verses out loud, the power and living nature of God’s Word will defeat the temptation without us having to use our energy to do so. Let’s face it, in using our own energy, we are basically doing what we can to squelch the temptation. Certainly, that’s better than nothing, but the truth is that God wants to work in and through us and He does that best when we’ve hidden His Word in our hearts. This is exactly what Jesus did. Look at that list from Paul. He says we should avoid doing evil to someone when they do evil to us. We should always seek the best for everyone. Beyond this we should always be thankful, rejoicing all the time. We should pray without ceasing – which means we should always be talking with God – and be thankful in the midst of all circumstances, regardless of the circumstance. Why? Because all of these things are God’s will for us. It is God’s will that we should be like Jesus and the description provided by Paul is exactly how Jesus lived. When reviled, Jesus did not insult in return. When He was slapped in the face, He didn’t turn around and slap the person who slapped Him. Yes, He asked why He was slapped, but He did not react in kind. The Gospels tell us just how much Jesus prayed. He was always thankful and even as He hung dying on the cross, He was able to step in and ask the Father not to hold those directly responsible for His death (the soldiers), as responsible. They were not aware of what they were doing (meaning, they did not know they were executing an innocent Man, who was and remains God, very God). Do you live in the way Paul describes above? I don’t, not perfectly. I’m learning. Based on each individual’s personality and the way they respond, they may face the temptation to react in kind more than others might. It varies from person to person but every Christian must strive to be obedient to God in Christ so that we please Him and God can then recreate the character of Jesus in us through these often trying situations. It is God’s will that every Christian live like this. Of that, there can be no disagreement. But in doing this, how does that help us learn, discover, or discern God’s will in very specific situations in our lives? Someone wants to determine which college to go to, which job to accept, which person to date, which person to marry, where to live, and the list goes on? Being obedient to God in the “small” things, the things that are required for every Christian, the things that Jesus, Paul, and others teach us in God’s Word, will recreate our character. Unlike the signs and wonders crowd, where God allegedly manifests Himself through the many wonders that always seem to be on display from one meeting to the next, character development is largely absent within these groups. In fact, what we often see is the exact opposite of Christian maturity in people. Their theology is usually aberrant and because of it, their character is less than stellar, certainly not what God wants to recreate in them. As we develop a lifelong willingness to be obedient to God in the things He has revealed in His Word, we become more mature in Him, as Christ’s character is created with us. As we become more mature, we are in a better position to test all things to know God’s will. But again, if we do not read His Word, if we do not study it or memorize it, we are bypassing the most important weapon any Christian could possess (aside from salvation, which is obviously the first)! We must read His Word but we must also learn to properly interpret Scripture as well. How often we Christians take things completely out of context and believe we speak truth! How many times have you been chastened by some well-meaning Christian who hears you critiquing what a Christian leader has taught, with the words, “Don’t judge”? They have no idea the context of that command. They simply assume that Christians are not to go around negatively critiquing anything or anyone, especially a known Christian leader. However, Christ was speaking of the tendency of Christians to judge the heart condition of someone or the motivations behind their actions. These are things we cannot see and so, we should ensure that we are not guilty of judging someone’s motives or heart. Acts 17 proves that Christians should absolutely critique what others teach. Paul approved the practice and so did Jesus (Matthew 7:1-5). When I was in Bible college, we were taught that the Bible should be allowed to interpret itself. This is the best way to learn what God is telling us. Why is this true? Simply because God wrote the entire Bible, though He used some 40 human authors to actual write it over a period of 1,600 to 2,000 years to do so. In the end though, God is responsible for every word and sentence. Because of it, we be assured that what He wrote in Genesis corresponds in some way to what He wrote in Matthew or Revelation. The Bible connects with itself and for a person to have an understanding of theology (the study of God), it is very helpful to understand the overall flow of the Bible and the many facets of it. Admittedly, it takes years to come to a point of understanding that flow just like it takes years to master a musical instrument. Yet, the beginnings of understanding can come soon enough if the Christian is willing to apply themselves to the study of God’s Word. Waltke uses numerous examples in his book where he believes Christians often get it wrong. We get it wrong due to the fact that verses are ripped out of their context way too often. It’s really just that simple. He believes this is the case with the regular misunderstanding of Proverbs 3:5-6 and James 1:5. Look them up and ask yourself what you think they mean. Waltke’s repeated point is that the Christian does not “divine God’s will. One lives God’s will as one comes to know Him through His Word.”  However, this only comes to individuals who are committed to God in obedience in the first place. God’s clearly wants Christians to be loving, especially to one another. How often is the exact opposite of this on display to the world? God wants us to refrain from all forms of sexual immorality. God wants us to no longer lie, cheat, steal, or commit other crimes. If we are not faithful in obeying these things, how can anyone think God would be willing to live other aspects of His will in and through us? It won’t happen. We’ll talk more about this in our next installment. Entry filed under: christianity, Cultural Marxism, Demonic, Eastern Mysticism, emergent church, Emotional virtue, eternity, Life in America, new age movement, Political Correctness, Politically Correct, Politics, Religious - Christian - End Times, Religious - Christian - Prophecy, salvation, second coming. Tags: god's will, living god's will. Knowing God’s Will: What Every Christian Needs to Know	Knowing God’s Will: Focusing on God or Satan?